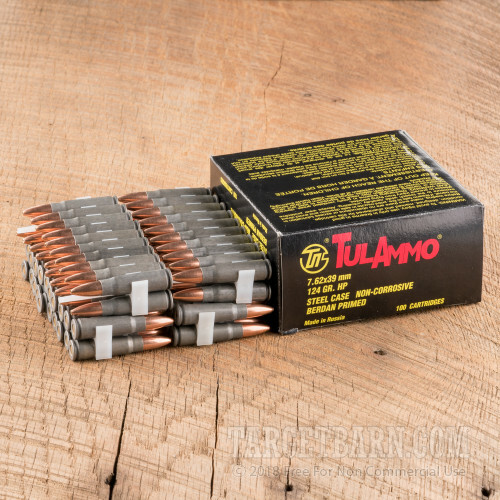 Grab a few 100 round boxes of this 7.62x39mm ammo from Tula for your AK or SKS and enjoy range time at half the per-round cost of the guy next to you! 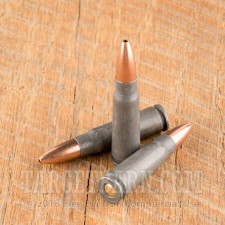 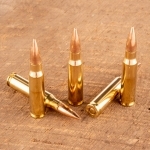 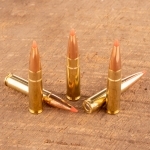 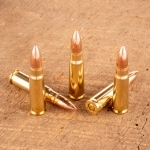 These inexpensive but reliable rounds fire a 124 grain hollow point bullet at a muzzle velocity of 2,330 feet per second and produce typical ballistics for this caliber with optimal performance at medium range. 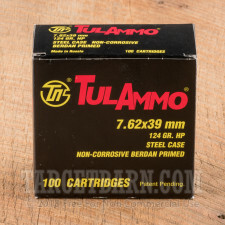 Tula ammunition is made in Tula, Russia and uses non-corrosive Berdan primers and polymer-coated steel cases. 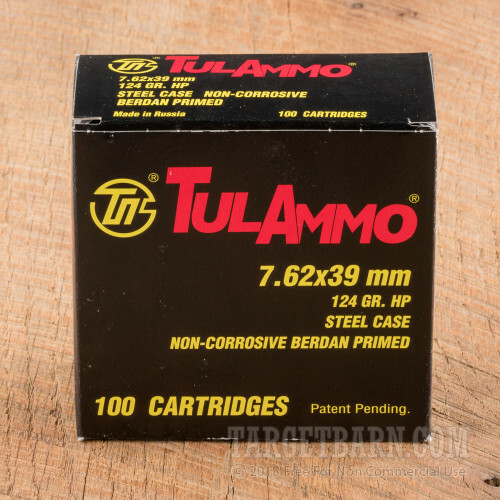 These cases are not reloadable. 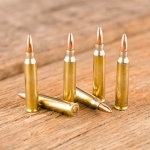 In addition to a wide selection of quality ammo, TargetBarn has some of the best targets available online for you to use on your next shooting trip. 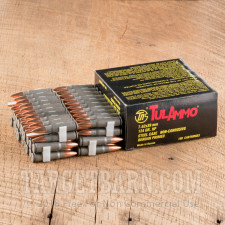 Grab a few with your ammunition and enjoy!